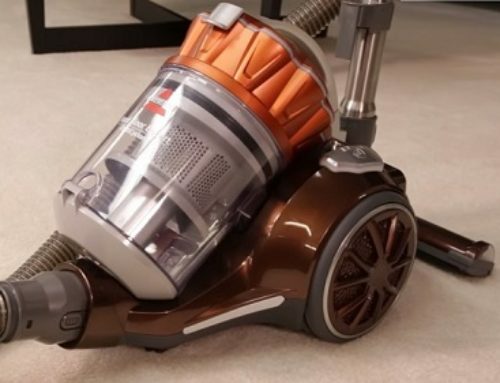 In this article, we’ll be discussing the Hoover Linx Signature ION stick vacuum cleaner. We put it through a ton of tests and this article will be the results and our review. The Hoover Linx is a cordless stick vacuum but not like some of the other cordless stick vacuums we’ve tested in that it’s shaped a little more like an upright vacuum. And it can stand up on its own, which is more important to me than I would have initially thought it would be. One of the benefits of this type of design is the extremely lightweight handling since all the heavier components are toward the base of the unit and so the actual vacuuming weight at the handle is very low. So it’s a much better choice for comfort than traditional cordless vacuums which tend to wear out your arm quicker. 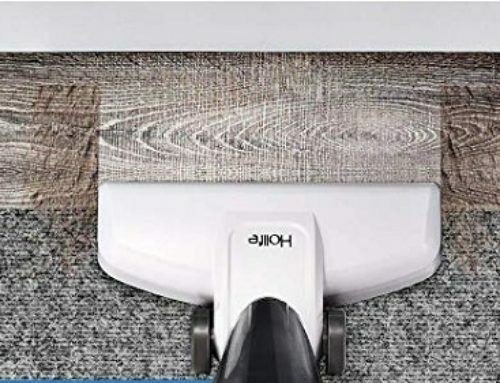 The Hoover Linx Signature has a brush roll for carpets which can be turned off by the rotary switch on the handle for hard floor vacuuming as well. The dustbin is a decent size for a cordless and we found that it was easy to empty with minimal sticking of debris. It’s also easy to disassemble for deep cleaning. As far as the pickup test, I was pretty impressed. On carpets, it easily tackled all the debris fields, from fine debris to pet hair to large and even extra-large debris. On hard floors where cordless vacuums tend to struggle, it excelled as well. It had enough power for heavy debris, like sand, and it even did really well with larger debris, which is very rare for a cordless. This is in part due to the large funnel gate on the cleaner head, which I wish more cordless vacuums would adopt. We also found that its edge cleaning from the side was just a little better than from the front, but in both cases, it was above average. I didn’t expect much from it on the deep clean test since most cordless vacuums struggle here, but it did get a decent 78% in the embedded sand on thick carpet tests. And I’m interested to see how some of its competitors do here. We measured its airflow at 31 CFM at the cleaner head which is fairly impressive. The only other cordless vacuum that beat that number are three times the price of the Hoover Linx, like the Dyson cordless vacuums or the high-end Sharks. Its battery life is also very good for its price range. We measured it at 23 minutes and 24 seconds in its hard floor mode, and 19 minutes and 25 seconds with the brush roll on, which, again, means it pretty much beats all the other budget cordless vacuums we’ve tested so far. We also found that it was extremely fast with recharge time. It only took a little over two hours to charge compared to about four hours for most of the others we’ve tested. I read over a lot of reviews and they were mostly very positive. Lots of people reported using their Hoover Linxs nearly daily for several years, though there were occasional reports of problems within a few months. But the majority of them were very positive. As far as negative things, there isn’t too much. I mean, the Hoover Linx is pretty basic in that there’s no hose to pull out and it doesn’t convert to a handheld vacuum or anything. It just does what it does and that’s probably why these vacuums don’t come with any attachments. 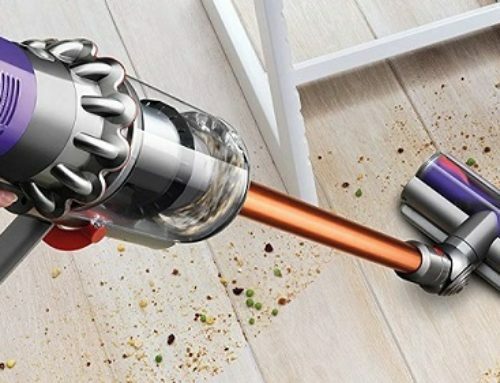 It’s, of course, not as well-built as a high-end Dyson or anything and it’s not going to have the same sealed system and HEPA filtration as the more expensive vacuums and it can’t deep clean carpets as well as an upright. But it seems like a really solid vacuum for the money. Something that you can pull out for small jobs or even take the place of a traditional vacuum in smaller settings. And I really think it would have won the budget category of the cordless vacuum competition we did a while back if it was included.